Location: A family owned business hotel situated just across the boulevard from the Main Entrance of Plovdiv International Fair, only minutes away from historic Plovdiv and within the downtown area of the city. 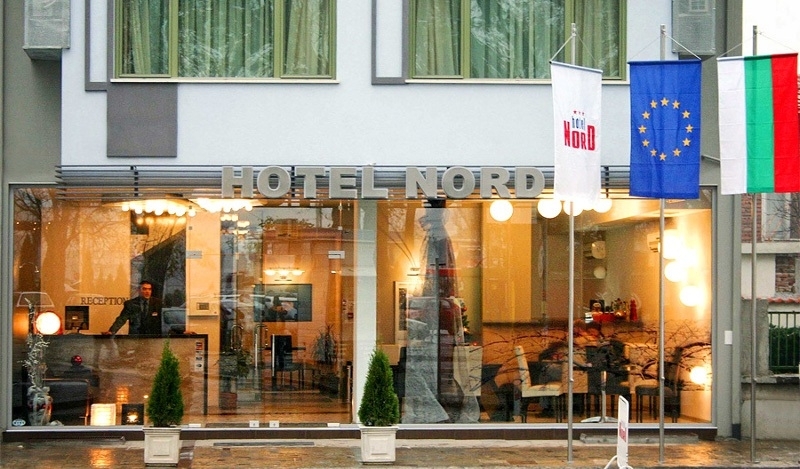 Accommodation: Hotel Nord Plovdiv offers 20 rooms /doubles or singles/, two of which are studios. All of them are spacious and furnished in a contemporary fashion; they have high-speed internet access /both wireless and cable/, working desk, cable TV with 25 channels, mini-bar, separate sanitary unit, AC, central heating, hair dryer, full size mirrors, direct telephone national and international dialing. In the hotel: Parking, laundry and dry-cleaning, fax services, safe available at reception, large flat screen TV at the lobby area.